Murrieta - Pacific Modern Homes, Inc. 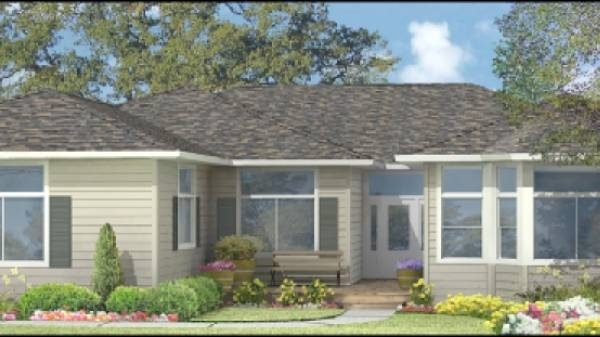 The Murrieta panelized kit home is a modern design that features multiple master suites branching away from a central dining and entertainment space. Each suite contains a full bath, with generous storage space provided by a walk-in closet. 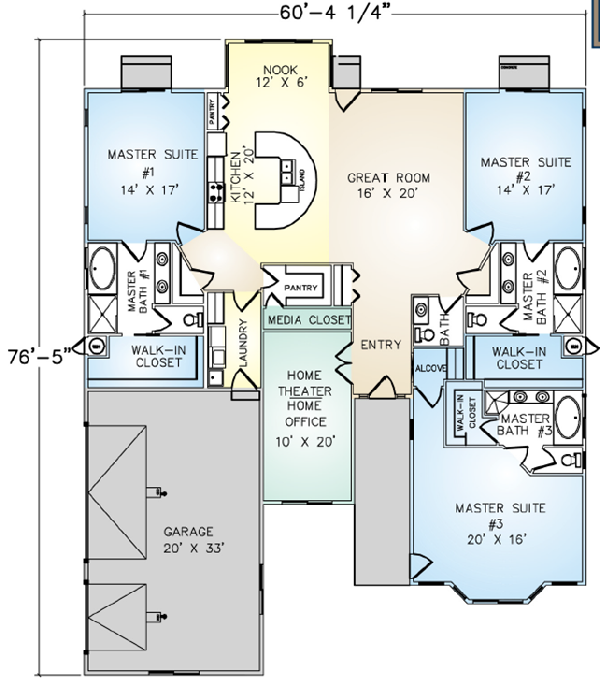 Ten-foot volume ceilings allow a more spacious feel throughout the house. 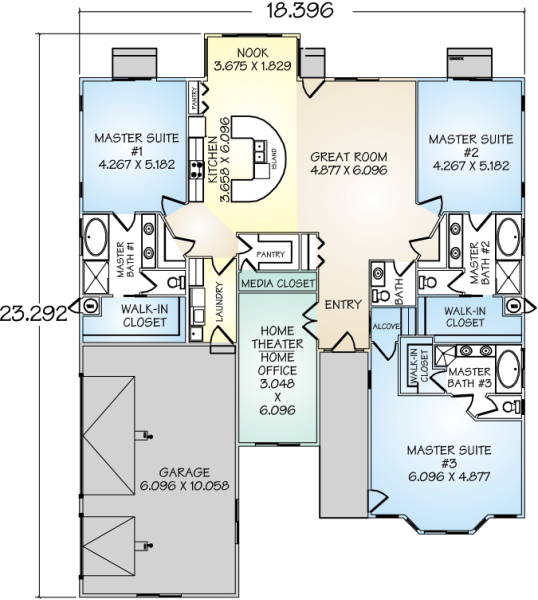 The plan includes a self-contained media room with an enclosed closet for wiring and hardware accessibility. The garage showcases a side-entry design with room for multiple vehicles.